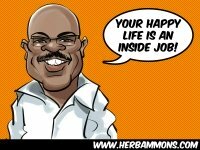 Permission to reprint articles by Herb Ammons is hereby given to all print, broadcast and electronic media provided that the contact information at the end of each article is included in your publication. Organizations publishing articles electronically, a live, click-able link to http://www.herbammons.com must also be included with the body of the article. b. One copy of the publication in which the article is published be provided to Herb Ammons. ◦ Editing content and industry specific example exchange. Any questions, please email to Herb@herbammons.com.